Our statuesque Obelisk Award is a symbol of hard work and dedication. 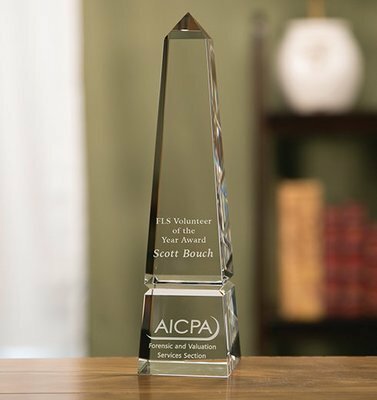 This stunning award is made of magnificent optical crystal, allowing your logo and award copy to stand out beneath the horizontal cut. Available in 3 sizes for acknowledging levels of achievement.